Questions regarding this video are welcome as comments on this page. I have not created capitalization, generally, as not sufficiently useful to be worth the effort. 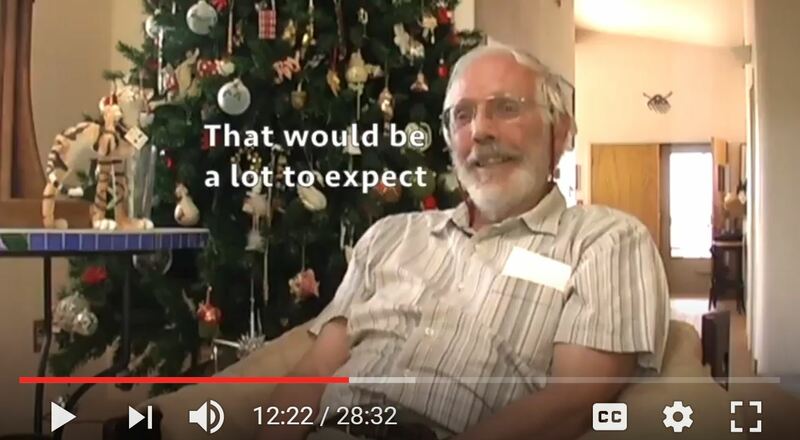 I have generally followed Dr. Storms’ exact words, which differ from the captions. Correction of errors is requested. 0:01 ● cold fusion. atomic power from water. no radioactive materials. no radioactive waste and no CO2. ColdFusion is power for the people. where no communities can be denied access to fuel with 10 million times the energy density of fossil fuels. 0:30 ● it could provide energy for the whole planet for billions of years researchers are trying to make a technology while still [not] understanding the science and almost three decades of experimental research produced a variety of startling effects. 0:48 ● in 1989 Drs. Martin Fleischmann and Stanley Pons announced the discovery of an anomalous fusion-sized excess heat energy generated by palladium and deuterium cells. from these types of cells tritium was found but always in amounts millions of times less than hot fusion and without the commensurate neutrons . 1:30 ● today, low energy nuclear reactions or LENRs experiments have produced softened x-rays, coherent laser-like photons and exhibited superconductivity, and two types of transmutations of elements have been achieved in multiple LENR environments, including biological systems. 1:53 ● how can such a wide variety of effects result when hydrogen interacts with solid materials? theorists struggled to find an answer. 2:07 ● Nobel laureate Julian Schwinger remarked, “The circumstances of cold fusion are not those of hot fusion,” for conventional nuclear theory does not explain these laboratory observations. 2:23 ● no recipe to both initiate and scale the effect exists. laboratory successes are won by trial and error, but a new idea is transforming understanding. 2:40 ● Dr. Edmund Storms is a nuclear chemist who has conducted many surveys of the field and [has] written two books from the signs and theories of LENR. 2:49 ● his experiments have shown that temperature is the single most important factor [in] regulating LENR excess heat and that high loading is not necessary to maintain a reaction in palladium deuterium systems. 3:00 ● he has put together the first physical science-based description of LENR utilizing the tiny nano spaces in materials as the nuclear active environment where hydrogen assembles to form a unique structure able to initiate nuclear fusion through resonance by a new and yet unknown atomic mechanism. 3:22 ● we’ve spent 24 years proving to the ourselves first and then to the world that this is real. it’s a physically real phenomenon. now the problem is we have to convince ourselves and the world how and why it works. nothing about this violates conventional theory, it adds to it. this is a new undiscovered phenomenon. 4:02 ● It occurs in hot fusion very rapidly, the energy comes out in one big burst that is, let’s say, they’re deuterium, they come together momentarily and then they blow apart immediately in different combinations of neutrons and protons, carrying the energy with them, and the energy comes off instantaneously as energetic particles. 4:28 ● in cold fusion they come together very very slowly and the energy goes off as photons, gradually, as they get closer and closer together. 4:57 ● the more ways in which Nature has to do something the easier it is to occur and the more often in nature. this occurs in nature very very seldom, and it’s very very difficult to duplicate and so therefore it must be something fairly rare and therefore very unique and therefore I’ve said that it really only has one way of doing this and unless you have precisely that arrangement, that Nuclear Active Environment, it’s not going to happen. 5:29 ● LENR requires the significant change in the material to occur, and getting that change in the material has been the real big problem to make this effect reproducible. 5:40 ● right now we’re creating that environment by accident, we threw a bunch of stuff together, a few places at random happen to have the right combination of materials and relationships to work. 5:52 ● so most of the samples … maybe less than 1% are active. 5:57 ● the effect has not occurred throughout the sample. It only occurs in special very rare, randomly created regions in the sample. I call this a nuclear active environment. 6:07 ● presumably the more of the sites are present the more energy we will be able to make. 6:14 ● [pointing to Figure 8] these samples [on the left] would have had only a few of these active sites and these samples [on the right] would have had a large number of that. this assembles as a probability distribution showing that the probability of having a large number of sites were very low and the probability of having a few sites were very high and, of course, zero having a very high probability that’s why it’s been very difficult to reproduce. 6:42 ● I assume that something changes within the material and I call that change the creation of the nuclear active environment. it has to be something that is universally present in all the experiments that work, no matter what method is used, no matter what material is used, or whether it’s light hydrogen or heavy hydrogen. 7:02 ● now, what are the characteristics of the nuclear active environment? we know a few of them. we know that you have to have deuterium or hydrogen in that environment. we know that the higher the concentration in that environment, the faster the reaction goes. we know that something in that environment is capable of hiding the Coulomb barrier of hydrogen or deuterium. we know that something in that environment also is able to communicate the energy to the lattice rather than have it go off as energetic particles, so we know, just from the way at which it behaves, certain overall characteristics, but we don’t know the details yet, but when I say, okay, let’s talk about the nuclear active environment, I’m saying, let’s talk about where those details are located in the material. 7:54 ● we want to look where we expect that material to be located. I expect it to be located on the surface. the challenge is to figure out what about the surface is universally related to a sample that makes excess energy. 8:10 ● all except for the last few microns of the surface is totally dead. so all you need is a few microns of palladium on something else and I put a few microns on platinum, it works just well as a solid piece. 8:29 ● but after examining hundreds of these photomicrographs by other people or by myself, the only thing I would see was common to all experimental methods and experimental conditions were cracks. 8:42 ● in hot fusion, you overcome the Coulomb barrier by brute force, using high-energy, and in cold fusion you overcome it by lowering the Coulomb barrier using electric charge. 8:58 ● you have to have a condition in which the electric charge is suitably large, and cracks have the potential to produce that kind of condition. 9:07 ● that seems crazy because for a long time people felt that cracks were bad. they allow the deuterium to leak out of the palladium. 9:17 ● we see that happen because if you put some of this material that has the cracks in it in a liquid, you can see the bubbles of hydrogen coming out of those cracks. so they were ignored or people were trying to avoid them. 10:02 ● the size of the crack is something that ought to be determined. it has to be small enough that they would not allow the hydrogen molecule to penetrate because we know the hydrogen molecule does not produce a nuclear reaction. they have to be big enough that a single nucleus of hydrogen can go in there and be retained and not interact with it chemically. 10:28 ● so I’m guessing something less than 10 nanometers. cracks always start small. cracks always start at the size that would be nuclear active, but only for a short time. 10:48 ● holes themselves are not active. they only give you the indication that that stress reorganized the surface. 11:02 ● what I’m saying is that stress also produced the nanocracks in the walls these holes, and that’s where you have the look to find the genie of cold fusion. 11:14 ● the nuclear active environment is proposed to be a nano-sized gap that hosts a unique form of hydrogen. while large spaces in cracks allow hydrogen to escape the material, tiny nano sized gaps are small enough to retain [a] single nuclei of hydrogen in a covalent chain called a hydroton. subjected to the high concentration of negative charge in the walls, the electrons shared by the hydrogen nuclei are forced into a more compact state with an average smaller distance between nuclei. but what happens to create a nuclear reaction? 11:55 ● whatever it is has the ability to initiate a number of different kinds of reactions. one makes helium, heat, and makes tritium, another transmutation, so there’s a variety of things that can happen in that environment. 12:12 ● all LENR behavior using istotopes of hydrogen can be explained by a single basic mechanism operating in a single nuclear active environment. That would be a lot to expect. 12:21 ● for something so unusual for this to have a variety of ways in which it can happen… by sheer probability — chance — there’s a crack formed and it has to have the right size, and then because of diffusion they [hydrogen nuclei] start building up a concentration in the crack. 12:39 ● hydrogen once it gets into this gap forms a covalent chain, which I call a hydroton, which releases Gibbs energy and that stabilizes the gap. energy being reapplied to the hydrogen, in order to get it out of there. because that is occurring in the chemical lattice it follows all the rules of a chemical reaction. 13:22 ● that narrow crack would have a very high concentration of negative charge on both walls which would force the hydrogen into a structure that I believe would help hide the Coulomb barrier and would help the resonance process take place. 13:44 ● once that builds up to a sufficient number something triggers it. that can just be the normal temperature vibrations because everything at the atomic level is vibrating, but because it has a linear structure it can start to vibrate such that these two come together, these apart, these come together and so forth. so these things start to vibrate in line. 14:09 ● and when they do, because you have charges moving, you have the prospect of photons being generated. 14:51 ● so it just keeps giving off photons. finally enough are given off and it’s time to get a little closer, and they give off a little bigger photon. each time it gives up a photon it collapses a little more, a little more, a little more, meanwhile vibrating, photons are streaming out, finally the last photon, goes off and it becomes a deuteron, because the electron that was between them gets sucked into a final product. 15:18 ● there’s hardly any mass-energy left over at that point so this becomes stable, or if not, gives off a very weak gamma. 15:28 ● now the deuteron, if there happens to be another proton or another deuteron in there, it can start the process all over again. 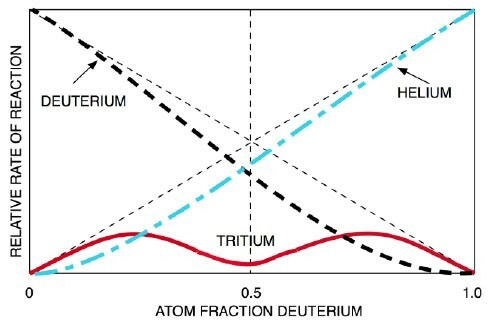 if another deuteron happens to be there, then it can make helium, or if a proton happens to be there it will make tritium. The deuterium has a choice, it can diffuse out, in which case it will be replaced by a proton, more likely, because that’s what’s in the general environment, or it can stay there and another proton comes in and that, starts to fuse, and it makes tritium instead. 16:03 ● it is symmetrical, it isn’t just when they’re bounced in this direction they give off a photon, when they bounce in [the other] direction they give off a photon also. these things are bouncing in a symmetrical way. 16:37 ● I’m proposing that this is the unique feature of cold fusion. this is where cold fusion differs from hot fusion. 16:46 ● cold fusion is slow, it’s methodical. because it occurs over a period of time, the energy has time to get out in small quanta. 16:59 ● that electron has to have very special properties and that’s the only thing that is novel. this is total consistent normal physics except for that electron and its characteristics. 17:11 ● something new has happened, has been discovered and is required to make cold fusion work. the crack is not destroyed. the crack is a manufacturing tool it’s just simply there and atoms go in, fuse, end products diffuse out, maybe, or they stay there, more stuff fuses. It’s an assembly line of the fusion process. that crack becomes attractive. and it’s also attractive because it’s very difficult to produce and it’s outside of the thermodynamic characteristics of a material. in other words, cracks can occur in any material regardless of its thermodynamic properties. 18:00 ● nano spaces allow a different form of atomic interaction to occur where hydrogen nuclei and electrons can form a chain called a hydroton. 18:12 ● pulsing in resonance periodically smaller distances coax nuclei into a slow fusion process where smaller bits of mass convert to energy through coherent photon emission. an electron is absorbed to make the final product. all the isotopes of hydrogen are proposed to behave the same way. any other element in the gap resonates to transmutation. 18:40 ● that’s why cold fusion was essentially rejected by people who were educated and had experience with hot fusion, which plays by entirely different rules. cold fusion plays by rules that we don’t presently understand and those rules involve slow interaction and a slow release of energy. I also say that cold fusion has to follow all the laws of nature as we presently know and love them. 19:09 ● they cannot violate any law of nature, chemical or physical. the only problem is if there’s something missing in those laws, so it isn’t that they’re conflicting with anything. it’s just that we don’t have all the pieces yet. that’s the the big, what I call the big discovery, that a chemical compound of hydrogen created under very special circumstances can then fuse. 19:37 ● nanogaps and hydrotons are able to explain the broad variety of evidence in LENR experiments by reasoning that follows the data and begins with tritium production. 20:00 ● tritium provides the key to understanding this process and tritium also provides the way which the process can be verified. tritium is made in cold fusion cells. but the tritium cannot be made by the hot fusion reaction because we’re not seeing any neutrons, so it has to be made by some other process. 20:22 ● well, there are a limited number of ways in which you can make tritium. when you examine all those, you discover that the only thing that really makes any sense is this reaction here: the deuteron fuses with a proton, captures the electron, makes tritium, which then decays by its normal behavior, with a half-life of 12.3 years, to helium-3 and an electron. 20:43 ● all of the hydrogen isotopes happen to behave the same way because that’s the only way you can get tritium. then it’s also the only way you can get helium. the electron also has to be sucked in. the deuteron does this with the electron, that makes hydrogen-4 which decays very very rapidly so we don’t see that accumulate, to make helium-4 and, of course, the electron as part of the decay. 21:46 ● hydroton is a whole new world that now cold fusion and Pons and Fleischmann have revealed exists. 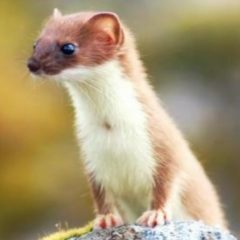 it was totally invisible until they came along and said, hey wait a minute, here’s something that can only work if the rules change, and so better start looking at new rules, and the hydroton is, in fact, the structure that makes those rules operate. 22:13 ● I’m taking these various ideas — many of them are not original to me, what is original is the putting together so that they have a logical relationship, and then, on the basis of that relationship, they can predict precisely what’s going to happen…. there’s no wiggle room in this theory. I mean I’m not like most theoreticians, “okay if that doesn’t work I can adjust some of the parameters here and make it work.” no, it is either right or wrong. it’s easy, simple as that, I even go down in flames or I’m right, and the result is that suddenly I can make sense of cold fusion, and suddenly now I know how to make it reproducible, and once it works I know how to engineer it. so you know what? problem is I haven’t yet proven that. 23:07 ● beginning with experimental facts and following a logical process of reasoning has produced both questions that challenge the standard model of nuclear physics and provided testable predictions that will confirm or deny the nanogap hydroton hypothesis. 23:26 ● I predict that the hydroton is metallic hydrogen. this is that mythical material that people have been looking for by squeezing higher than at very high pressure. that is precisely what is formed in this gap. the gap makes that possible. 23:41 ● the reason why metallic hydrogen is been very difficult to detect is because once it forms, it fuses. that allows us to harvest the mathematical understanding of metallic hydrogen, which is already in the literature, to explain this material, and also will lead to another kind of measurement. 24:02 ● cold fusion represents a whole new way of looking at nuclear interaction, the rules of which will have other implications, that will have other applications and will allow us to do things that we can’t even suspect to be done now, including the deactivation of radioactive material we have generated by virtue of the other energy sources. 24:33 ● only experimental results will validate the hypotheses of the nanogap hydroton model. 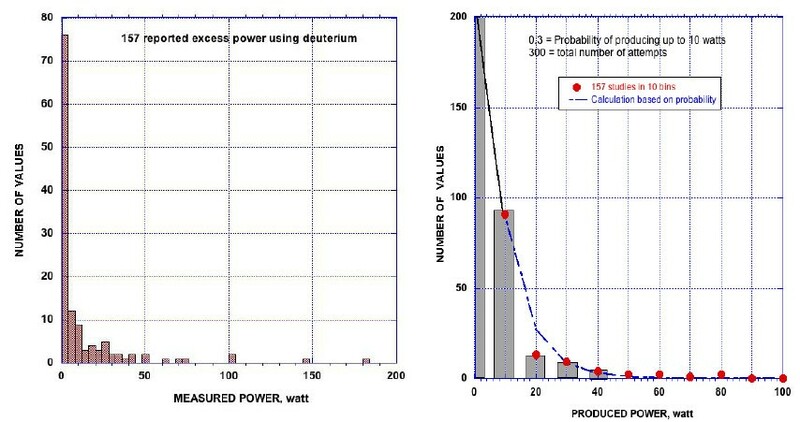 new data supports the hydroton prediction that the amount of tritium is related to the deuterium to protium ratio in the fuel, to confirm the nuclear active environment as the nanogap, creating the right size nanospace that hosts the reaction, with 100% reliability, is crucial. 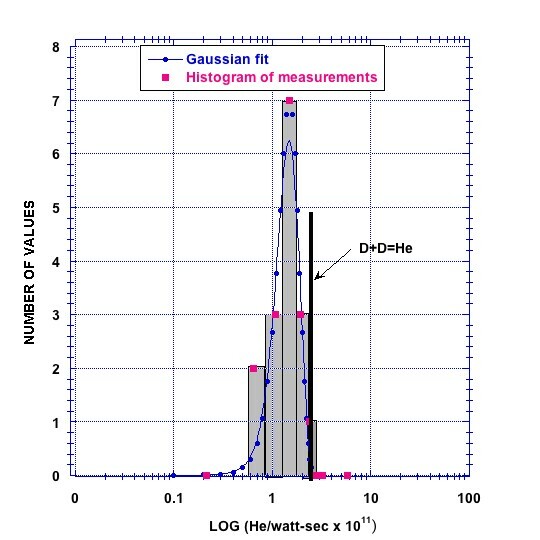 determining if light hydrogen systems are producing tritium is an important next step. 25:08 ● laboratory evidence that identifies emitted photons as coming from a particular reaction would be defining for the hydrogen model. 25:23 ● cold fusion technology will be a radically different type of power creating a paradigm shift in global operations. a mere one cubic kilometer of ocean water contains fusion energy equal to all the world’s oil reserves and the nano-sized source of power holds the promise of a defining next step in our human evolution. 26:22 ● you have to have these two things happen simultaneously well it’s like opening a window and you open a little bit and you see a little bit of what’s outside, and it looks really interesting, you open a little bit more and then all of a sudden you realize wow there’s a whole new world out there. and so this theory has opened that world into a way of looking at cold fusion that hasn’t really been explored in completion. my guess is that once we understand how it works we will find some other metal or some alloy or maybe an alloy of palladium and nickel and some combination of deuterium and hydrogen that will be even better than what we presently have. we are nowhere near the ideal at this point. 2012 Natural Philosophy Alliance Talk. things. there are the things that, you know, a hundred graduate students will work on for twenty years to really master and understand, and they’ll give the details of this mechanism going on, and they’ll generate the Nobel Prizes that everybody will be really happy about, understanding this physics better. 28:12 ● my theory tries to address what’s happening at the highest rating level, and at that level it’s fairly straightforward.